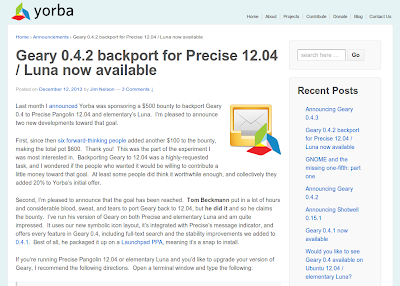 As one of the “forward thinking people” who donated to the bounty to get this solved, you can now install or upgrade your Geary mail client to version 0.4.2 for Ubuntu 12.04 LTS and Elementary Luna users. A heartfelt “Thank You” to Tom Beckmann for taking up the challenge to backport Geary. 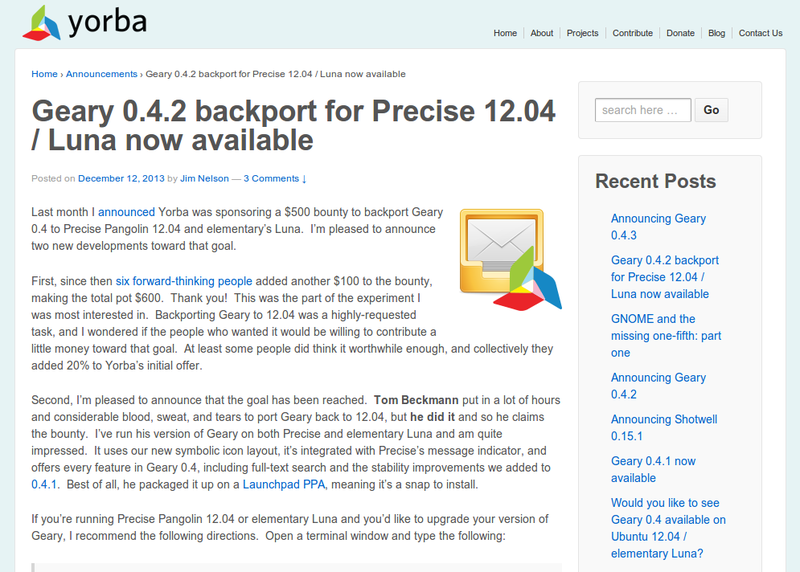 I must say the new version of Geary running on Luna is absolutely beautiful. No wait, its gorgeous. I usually use those words when talking about women. The icons looks great. The Geary app itself is spot on. Its what you want in an email client. Simple, fast, doable. DONE. No ads from Gmail or Yahoo. 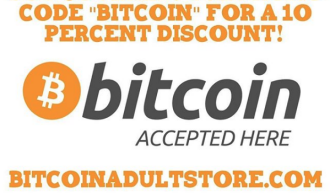 See your email as it was meant to be! Finally. You can easily install this with Toms PPA by opening up a terminal and pasting each line and pressing enter.